This report is not a feature-by-feature comparison. In certain cases, EMA included products that are still in a late beta or preview stage simply to recognize a vendor’s excellent alignment with customer challenges. On the other hand, you may miss more traditional products that did not make it into the report, simply because newcomers took their spot. 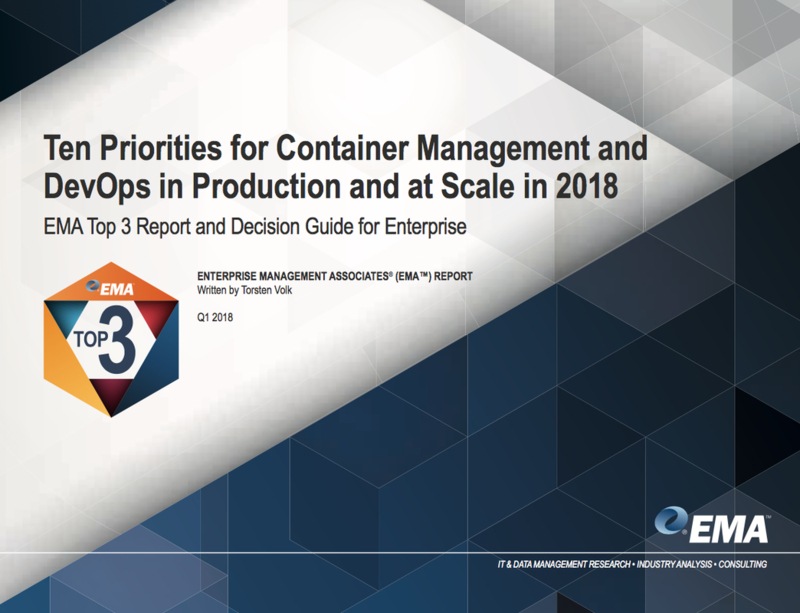 EMA created this guide as a resource for enterprises to learn from their peers (300 US enterprises surveyed) and benefit from hundreds of product briefings, cases studies, and demonstrations. Who are the EMA Top 3 vendors? How do your peers leverage containers and DevOps for their digital transformation? What are the next critical container pain points and investment priorities?